Robert A. Klement, DDS will have a short bio with brief information on their background. Please check back soon or view the link below for more information. If you’ve just received a dental implant restoration, congratulations! This proven smile-changer is not only life-like, it’s also durable: more than 95% of implants survive at least 10 years. But beware: periodontal (gum) disease could derail that longevity. 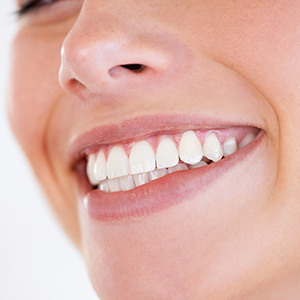 Gum disease is triggered by dental plaque, a thin film of bacteria and food particles that builds up on teeth. Left untreated the infection weakens gum attachment to teeth and causes supporting bone loss, eventually leading to possible tooth loss. Something similar holds true for an implant: although the implant itself can’t be affected by disease, the gums and bone that support it can. And just as a tooth can be lost, so can an implant. Gum disease affecting an implant is called peri-implantitis (“peri”–around; implant “itis”–inflammation). Usually beginning with the surface tissues, the infection can advance (quite rapidly) below the gum line to eventually weaken the bone in which the implant has become integrated (a process known as osseointegration). As the bone deteriorates, the implant loses the secure hold created through osseointegration and may eventually give way. As in other cases of gum disease, the sooner we detect peri-implantitis the better our chances of preserving the implant. That’s why at the first signs of a gum infection—swollen, reddened or bleeding gums—you should contact us at once for an appointment. If you indeed have peri-implantitis, we’ll manually identify and remove all plaque and calculus (tartar) fueling the infection, which might also require surgical access to deeper plaque deposits. We may also need to decontaminate microscopic ridges found on the implant surface. These are typically added by the implant manufacturer to boost osseointegration, but in the face of a gum infection they can become havens for disease-causing bacteria to grow and hide. Of course, the best way to treat peri-implantitis is to attempt to prevent it through daily brushing and flossing, and at least twice a year (or more, if we recommend it) dental visits for thorough cleanings and checkups. Keeping its supporting tissues disease-free will boost your implant’s chances for a long and useful life.